South-Western Pub. Hardcover. POOR. Noticeably used book. Heavy wear to cover. Pages contain marginal notes, underlining, and or highlighting. Possible ex library copy, with all the markings/stickers of that library. Accessories such as CD, codes, toys, and dust jackets may not be included. A Charge to Keep : The Life of Earl Gladstone Hunt, Jr.
Abingdon Press, 2004. Paperback. Very Good. Disclaimer:A copy that has been read, but remains in excellent condition. Pages are intact and are not marred by notes or highlighting, but may contain a neat previous owner name. The spine remains undamaged. Geology of the White River Uplift in Northwestern Colorado (pp. 67-69) AND The Origin and Development of Graben Structures Associated with Salt Domes (pp. 70-71) AND Geological Interpretation of Aeromagnetic Surveys (pp. 72-73) AND Outline of Talk Given (on the Okmulgee Oil District, Oklahoma, pp. 74-77) AND Pennsylvanian Plant Microfossils of the Croweburg Coal in Oklahoma (p. 78). (FROM: Tulsa Geological Society Digest, Volume 24, 1956). Tulsa Geological Society., 1954. Journal. Very Good. No Binding. 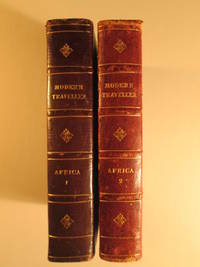 ORIGINAL Articles, disbound from journal; no covers; in very good condition..